The graph depicts the poll results for a food survey among TV viewers. 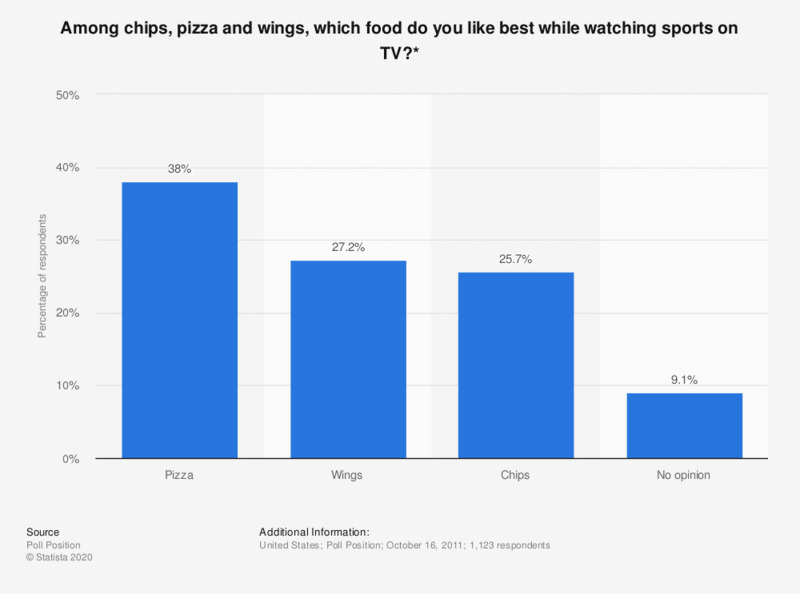 Over 1,000 people were asked which food they like best while watching sports on TV: pizza, wings, or chips. 39 percent of respondents said they like eating pizza best. * Among those who watch sports on TV and eat while watching sports on TV. What do you eat on the road for holidays? Is the television important to you?